Our outreach activities can help you to understand the world around us and it can be really exciting. Here you will find the outreach activities we are developing, have a look to our activities and join us making science! The Czech edition of the magazine “Newsweek” and the Catalan newspaper “Ara.cat” published in April an article about the SC (Science Club) Barcelona. 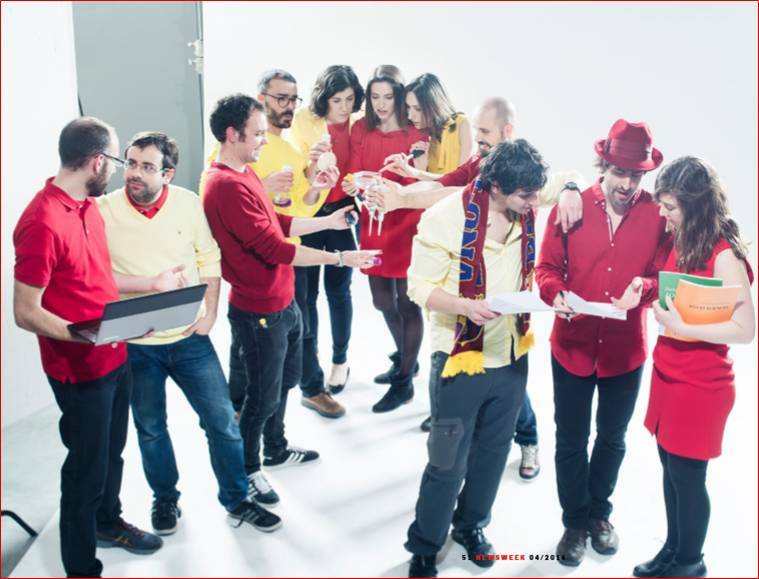 The team is composed by eleven young Catalans who live in Prague, where they moved to work in research. Rosana Mateu Sanz, the Early Stage Researcher of GLYCOPHARM at Univerzita Karlova V Praze (CUNI), was one of the young researchers interviewed. Rosana explained that she went to Prague for the first time as Erasmus student and she loved the city. Afterwards, she found the opportunity to return to this city and start a scientific career thanks to the GLYCOPHARM project. 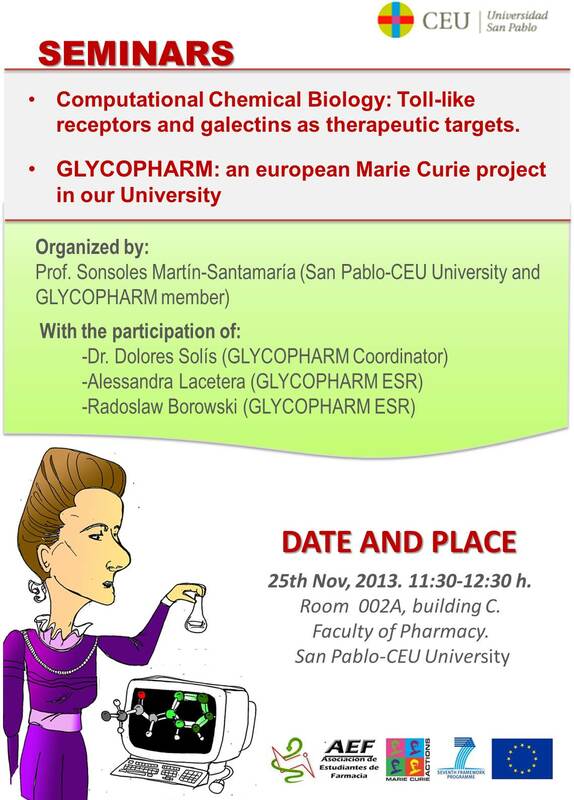 Rosana Mateu, the ESR of GLYCOPHARM recruited by the Univerzita Karlova V Praze , has made an outreach video on GLYCOPHARM. In this video, she describes in an easy way the general aspects of her project which is titled "Galectin and galectin ligand expression in human tumours and in wounded skin-model". Furthermore, she also explains her experience as ESR of an Initial Training Netwok. You con see the video bellow! Giullia Cazzanelli, the ESR of GLYCOPHARM recruited by the University of Minho, has made the first outreach video on GLYCOPHARM. In this video, she describes in an easy way the general aspects of her project which is titled "Biological screening and elucidation of signalling pathways using yeast models". Furthermore, she also explains her experience as ESR of an Initial Training Netwok. The Early Stage Researchers (ESRs) and the Experienced Researchers (ERs) of GLYCOPHARM have submitted several pictures to the science photography contest FOTCIENCIA12. FOTCIENCIA is a science photography contest organized by the Spanish Foundation for Science and Technology (FECYT) and the Spanish National Research Council (CSIC) which aims to bring science and technology closer to people. If you want to see nice photos related with science, you only have to visit the web of the contest here. and hope it will encourage to vote for your favourites pictures. The Spanish National Research Council (CSIC), member of GLYCOPHARM, together with the National Museum of Natural Sciences and ROCAVIVA Events have organized the outreach cycle 'Maria Sklodowska-Curie: a Polish in Paris', created to commemorate the centenary of the first institutes devoted to the radioactivity applications: Radioactivity Institute of Madrid (1910), the Radium Institute in Paris (1914) and the Radium Institute in Warsaw (1932). Six lectures will be held to show to the public one of the most fascinating female figures of the last century. The cycle will be open on March 5 in the Student Residence with the lecture "Women and Science. My own experience" held by Margarita Salas, honorary professor of CSIC. 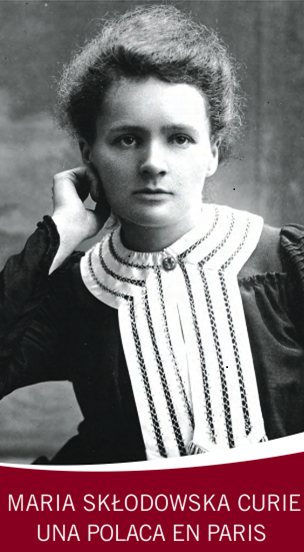 Furthermore, from March 5 and until September 7, there will be an exhibition in the National Museum of Natural Sciences to disseminate the life and work of Maria Skłodowska-Curie and the past and present of the Institutes of Radio. 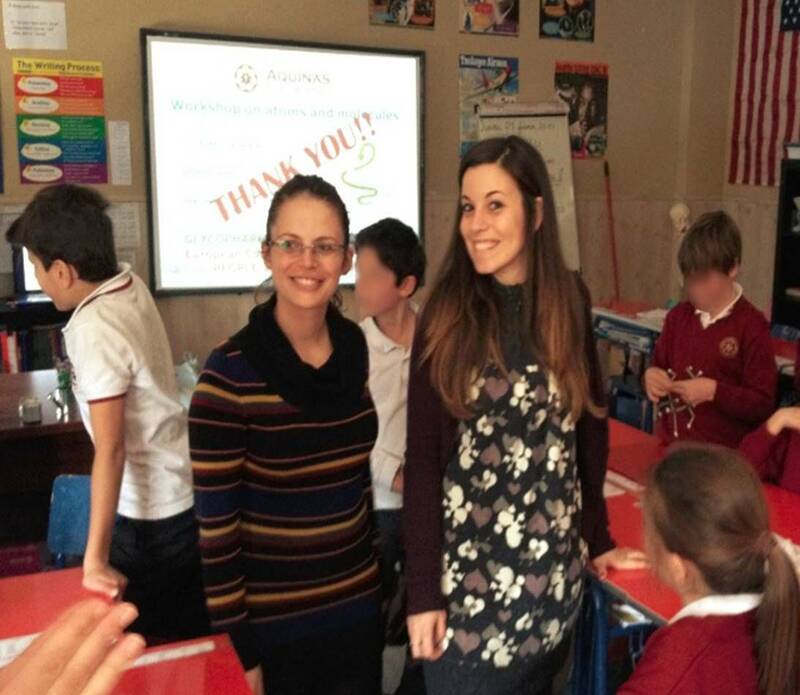 Some members of GLYCOPHARM taught a funny and exciting workshop on atoms and molecules at the Aquinas American School. Our young researchers Alessandra Lacetera (Early Stage Researcher at Universidad CEU San Pablo) and Silvia Galante (Early Stage Researcher at Center for Biological Research CIB-CSIC) with the collaboration of Dr. Sonsoles Martín Santamaría (Associate Professor at Universidad CEU San Pablo and senior scientist in GLYCOPHARM) performed a tutorial on “Atoms and Molecules” at the Aquinas American School (Madrid, Spain) to the students of 5th Grade of Primary School. With the help of computers, Alessandra and Silvia showed the 3D structure of some molecules such as glucose, water (solid, liquid, gas), graphite, diamond, silk, and DNA. 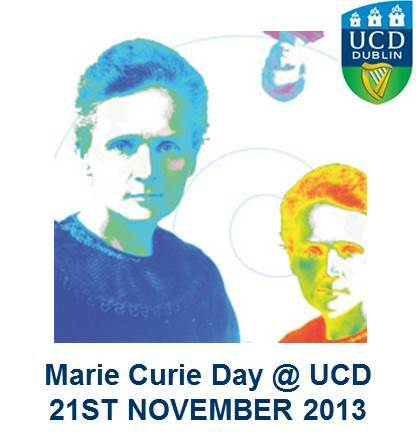 The University College Dublin (UCD) has organised the "Marie Curie Day @ UCD" on Thursday 21st November. It will be a day of activities focussed on Marie Curie funded research with the aim to highlight UCD’s involvement in Marie Curie Actions and to raise awareness and promote future involvement in the schemes. 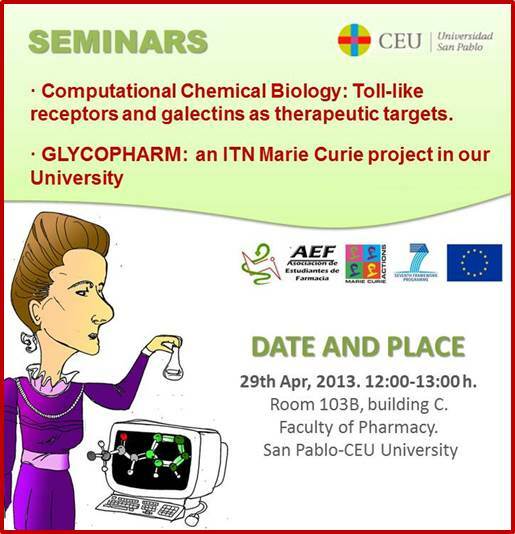 The Early Stage Researcher of GLYCOPHARM on this institution, Cecilia Romano, has been invited to participate displaying a poster about the project she is working on our ITN. All our best wishes for our Marie Curie ambassador! 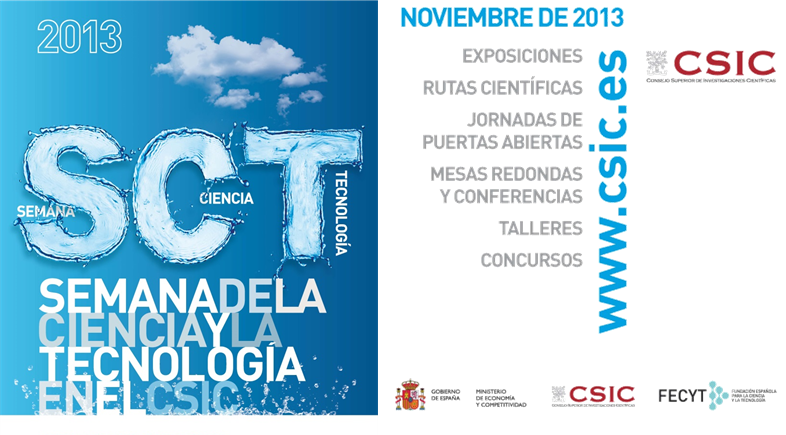 The CSIC is actively involved in Science Week, an annual landmark celebrated throughout Spain in November to which new CSIC centres and researchers are added each year. In many regions the Science and Technology Week is the most important scientific outreach initiative. Since 2001 it has been organised on a national basis with the aim of bringing science to the public of all ages, to stimulate a taste for scientific knowledge and encourage citizens participation in scientific issues by conducting outreach activities in museums, universities, research centres, technology parks, etc. The Society for the Advancement of Science, Society for the Improvement of Science (SACSIS) is a spanish nonprofit scientific organization that aims to contribute to scientific advance. To provide useful and updated training on topics related to research, SACSIS haas invited Dr. Rocio Diaz (IIB-CSIC), a specialist in European fundraising, to offering a webinar entitled: “Captación de fondos para investigación mediante proyectos Europeos” ("Fundraising for research through European projects"). The webinar is available only in Spanish. 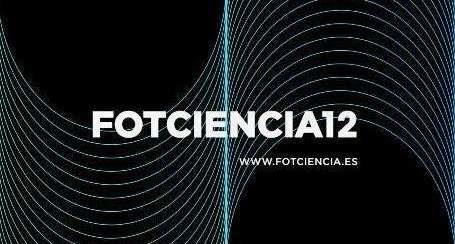 FOTCIENCIA is a scientific photography contest organized by the Spanish Foundation for Science & Technology (FECYT) and the Spanish National Research Council (CSIC). 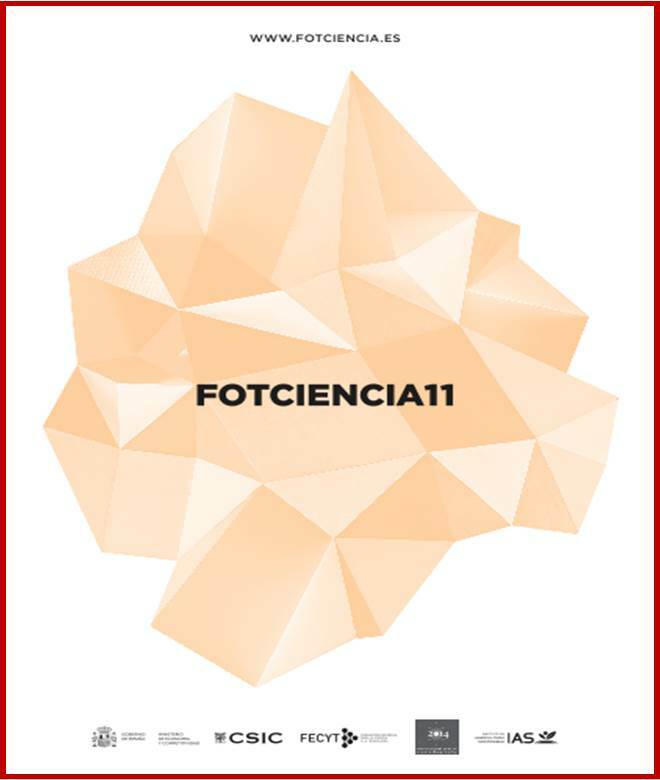 This year FOTCIENCIA celebrates its eleventh edition keeping the purpose of bringing science and technology closer to people through and aesthetic an artistic vision suggested through scientific images. 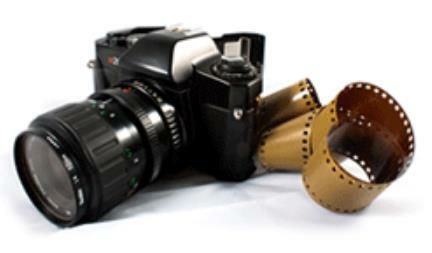 Previous edition had more than 750 photos submitted to the contest. With the selected images was performed a catalogue and two itinerant exhibitions, which visited 15 Spanish cities. FOTCIENCIA11 includes, besides the categories Micro and General, a Special Prize in the International Year of Crystallography, a Special Prize of the Institute of Sustainable Agriculture and a category called The Science in the Classroom, addressed to high school and intermediate vocational training cycles students.